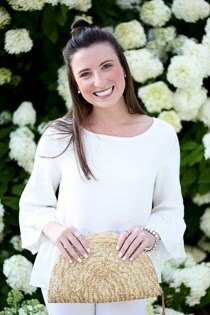 If y'all didn't know, I love an all white outfit in the summer. It is seriously my go-to. 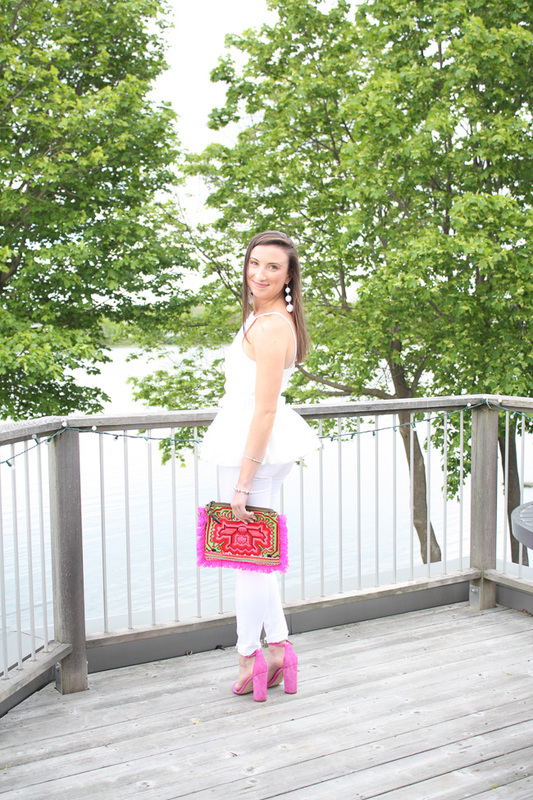 There is a 95% chance that whenever I am getting dressed in the summer months I am reaching for something white. I don't know exactly what it is about the look, but I'm thinking it's the clean crispness that draws me in. Not to mention, it's a classic look that will never go out of style and so fun to accessorize. 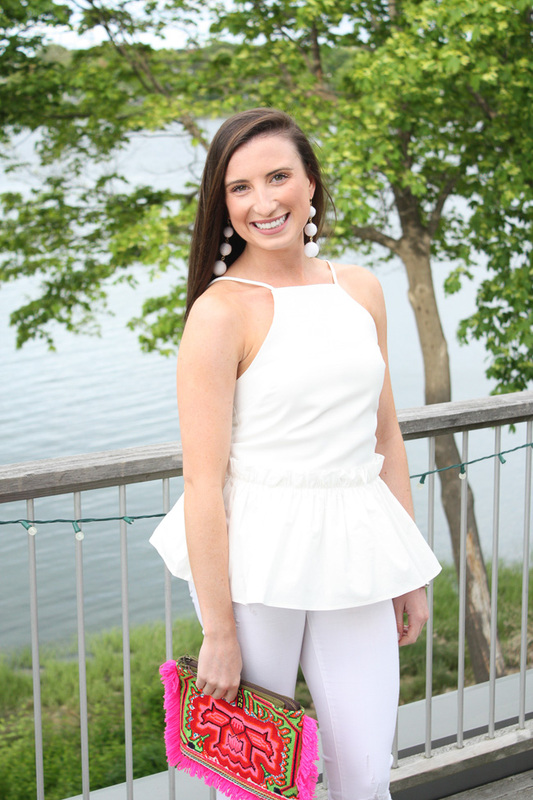 I recently picked up this adorable white peplum blouse from Tuckernuck and I am so in love. The neckline and spaghetti straps are super flattering on and the peplum just might be the most perfect one I've ever seen. If you're on the not-so-curvy side like me, peplums tend to be a good pick as they create the illusion of curves. I don't know about you, but you can't hate that! I threw on my favorite white denim (!!) to complete the all white look but couldn't stop there without adding in some fun accessories. One of my favorite parts of keeping the base of your look neutral is playing around with how you accessorize. You can do so much, from staying true to the all white look by throwing in some neutral accessories or by adding pops of color. As show in the pictures above the later is my favorite! Playing around with color is my favorite especially when you have a white canvas to work with. 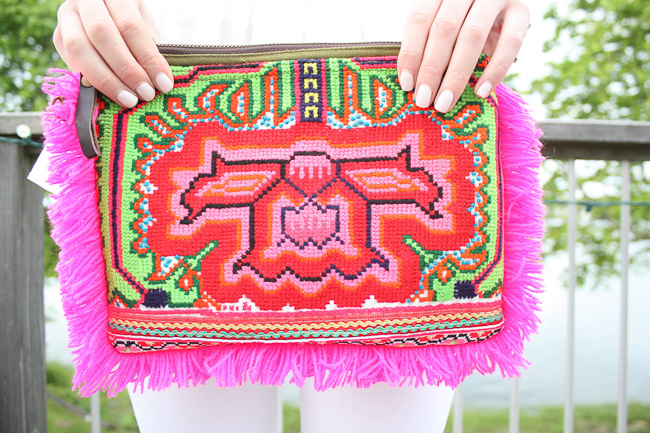 I got this super fun clutch earlier in the season and am looking forward to styling it all summer long. 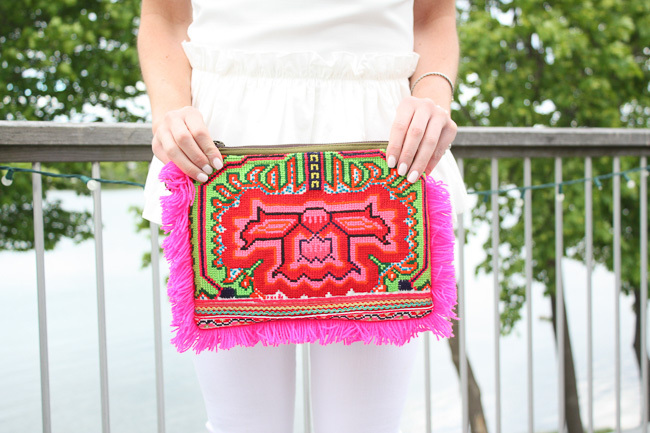 The fringe, bright colors, and detailed embroidery make it a must have, and it's on sale! These hot pink suede sandals have made quite a few appearances on the blog recently, and for good reason! They have quickly become my go-to for adding a little extra pop of color to an outfit. 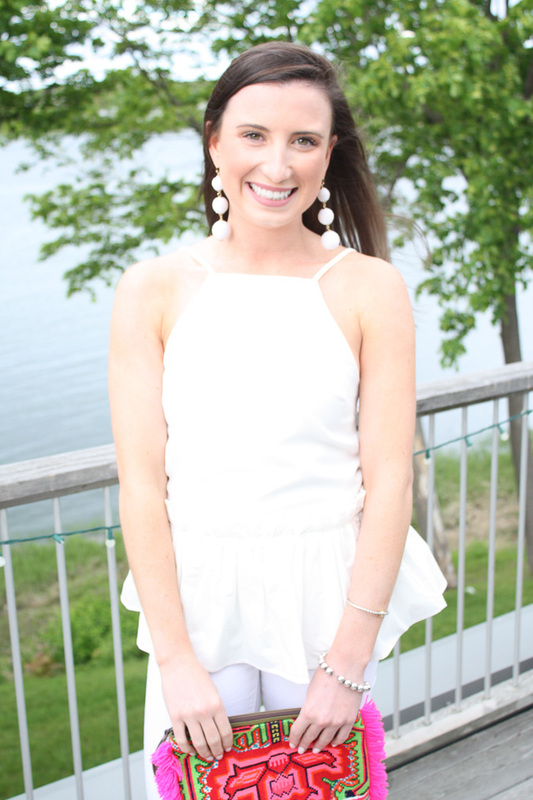 Last but certainly not least were these white drop ball earrings, which I think make the outfit! I am fairly confident when I say that this outfit will be on repeat all summer long. I've linked all the items below for you to check out and shop. Enjoy!